“I feel so proud of the Sikat Solar Team for their accomplishments in spite of the limited resources and their hectic schedules. All the hard work and sleepless nights paid off in the form their third place finish,” says Project Manager Richard Li. 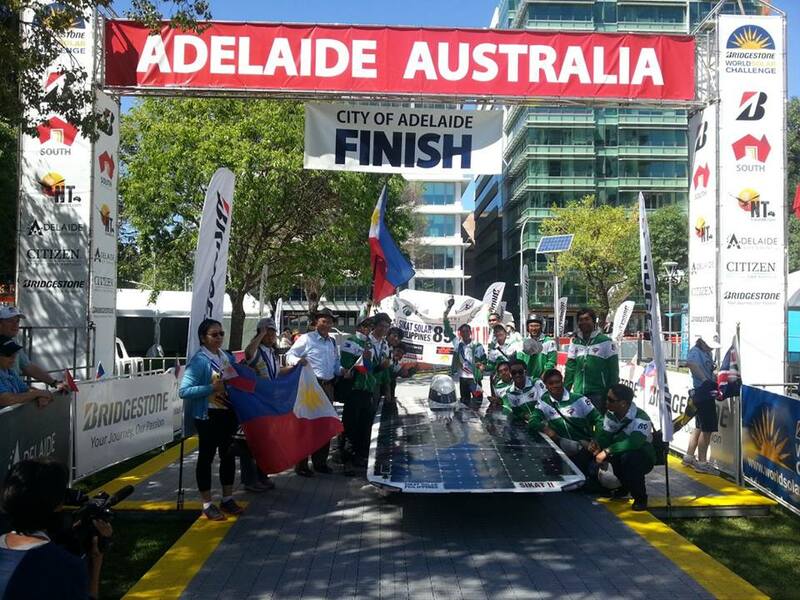 Mechanical and electronics engineering students and faculty members from De La Salle University developed the Philippine solar car. Sikat Solar Challenge Foundation, composed of representatives from First Phil Holdings, First Gen, Energy Development Corporation, Sunpower, Ufreight, Shell, and Motolite supported the development of Sikat II. Now on its 26th year, the World Solar Challenge has been a leading venue for young engineers and scientists from all over the world for the pursuing the ideals of sustainable transport. Forty-two teams from 24 countries competed in three categories in the 2013 WSC.